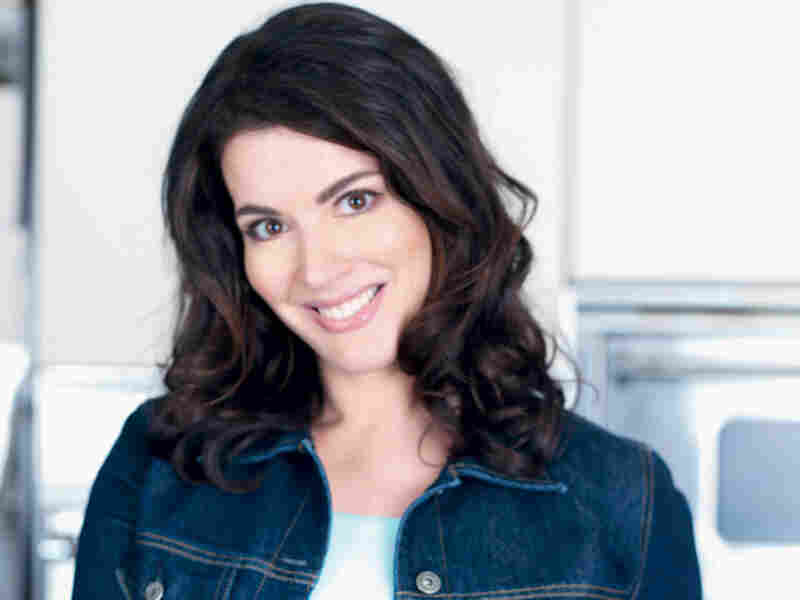 Nigella Lawson's St. Patrick's Day Baking Tip: Guinness There's so much more to St. Patrick's Day food than Irish soda bread and corned beef and cabbage. 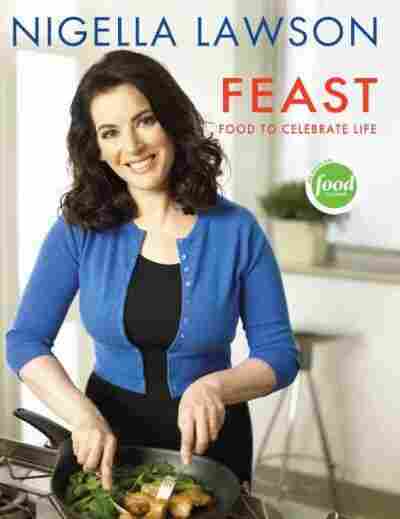 Celebrity chef Nigella Lawson shares some delectable recipes for a holiday feast you'll want to raise a glass to. 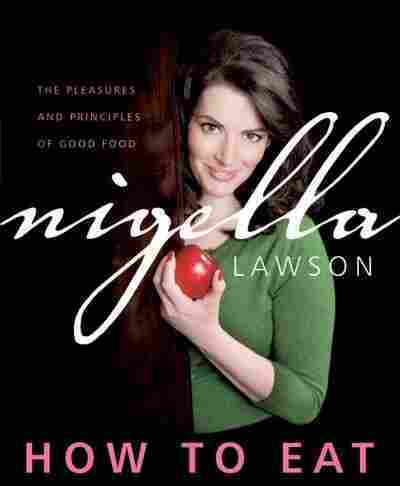 Nigella Lawson is the author of several cookbooks, including most recently Nigella Christmas. St. Patrick's Day has long been known as a day when many like to dye their beer green — and then drink a lot of it. But there are many delicious ways to celebrate Ireland's patron saint that go far beyond a drop or two of Jameson or a pint of Guinness. British food writer Nigella Lawson has some revisionist suggestions, starting with an often overlooked classic: Irish stew. "Irish stew was very commonplace when I was growing up," Lawson tells Renee Montagne. "What it consisted of was some scraggy, fatty bits of lamb and a lot of water and potatoes either overcooked or not cooked enough." Lawson says that even though she grew up with Irish stew, she never really liked it until she tried one London restaurant's hearty interpretation and got the recipe. Unlike the traditional Irish stew, the new version calls for veal stock and lamb chops. "I'm a lazy person," Lawson says, "and I'm very happy to get my veal broth out of a jar provided it's good quality. A jar or so of that will make it seem as though you've got 30 employed, cutting up bones and brining them for you." As for the lamb chops, Lawsons says, "The bone gives you so much flavor as it cooks slowly. It doesn't make for dainty eating but it's such a wonderfully robust, rapturously robust stew that I think it's OK to take out each little chop as you eat it, gnaw away and fling the bones away into the fireplace." To add that extra Irishness, Lawson recommends pairing the stew with tangy potato bread. And for even more Irishness, just bust out the Guinness. It's not for drinking — it's for baking. 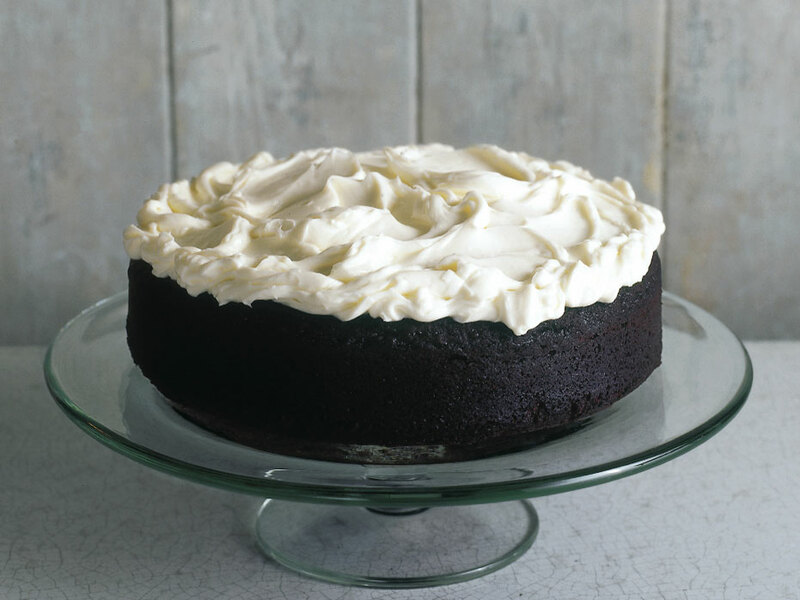 Lawson's Chocolate Guinness Cake comes loaded with sugar, chocolate and a cream cheese frosting that recalls the foamy head of a pint. "If you think of stout and what it has — which is an almost licorice intensity — when you mix it with chocolate, it gives it more complexity," Lawson says. "It's kind of a grown-up cake." But adults, on this celebratory holiday, might appreciate some simplicity. So instead of getting mixed up in a bowl, these ingredients get melted together over the stove, making it kind of an easy cake, too. Finally, Lawson suggests a festive cocktail to wash down all that chocolate, veal, lamb and Guinness. "It's a minty martini," she says, "which I sort of feel is obligatory to drink on St. Patrick's Day because it's called Emerald Isle." The Emerald Isle calls for a shot of gin, a teaspoon of green creme de menthe and bitters. "It sounds like an odd drink," Lawson says. "You certainly wouldn't want to be knocking back pints of the stuff — but when everyone else is drinking a lot of green beer, this is an elegant martini to have that shows you're in the spirit." Skip the lean meat on this one. Fattier cuts hold up better to long, slow cooking and keep your meat from getting stringy. When I was a child I remember eating a distinctly nasty Irish stew: watery, greasy, and singularly unvoluptuous. I haven't been particularly won round by eating it in Ireland, either. But I recently had a bowlful at the Irish Club in London's Eaton Square, and it was velvety in its unctuousness, the meat and its gravy both infused with that sweet, tender viscosity. I don't think I have ever been so bowled over by something I've ordered. Actually, I didn't order it, or not initially. I had played safe and asked for the Irish smoked salmon with soda bread. But then I tasted the stew and felt pierced with envy. I am happy to eat from other people's plates; indeed, I don't feel there's any point going out if I can't do that. But this was different: I wanted my own, and lots of it. The Irish Club's Irish Stew, with its inclusion of veal stock (and chicken stock, for that matter), and whole lamb chops, which diners gnaw on, may offend purists, but experiences as voluptuous and pleasurable as this are always going to offend them anyway. Don't worry about making your own veal stock — there are good commercial versions available — but it's important not to leave it out, as that's what produces, or helps produce, the requisite seductive stickiness. Cook the barley 20 minutes in boiling salted water, drain it, and reserve. Preheat the oven to 325 F. In a casserole in which you're sure everything's going to fit, brown the lamb. You shouldn't need to add any cooking fat to the pan. Remove the meat. Add the vegetable to the casserole, turn them in the fat, and cook for about 5 minutes, stirring frequently, until slightly softened. Meanwhile, combine the stocks and heat. Remove the vegetables to a plate for a moment, then layer the casserole with the chops, the vegetables, and the parboiled barley, seasoning well with the salt and pepper and sprinkling with rosemary, sage, and parsley as you go. Pour over the warmed stock and arrange the potatoes on top overlapping like a tiled roof, and season again. Cover the casserole so that the potatoes steam inside. Put in the oven for 1 1/2 hours, or until the potatoes are soft and the meat is thoroughly cooked. If you want the potatoes browned on top, dot with butter and blitz under the broiler or in a turned-up oven when cooked. The whole point of this stew is that it needs not accompaniment — except for bread, and lots of it. From How To Eat by Nigella Lawson. Copyright 2007 Nigella Lawson. Published by Wiley. All Rights Reserved. This cake is magnificent in its damp blackness. I can't say that you can absolutely taste the stout in it, but there is certainly a resonant, ferrous tang which I happen to love. The best way of describing it is to say that it's like gingerbread without the spices. There is enough sugar — a certain understatement here — to counter any potential bitterness of the Guinness, and although I've eaten versions of this made up like a chocolate layer cake, stuffed and slathered in a rich chocolate frosting, I think that can take away from its dark majesty. Besides, I wanted to make a cream cheese frosting to echo the pale head that sits on top of a glass of stout. It's unconventional to add cream but it makes it frothier and lighter which I regard as aesthetically and gastronomically desirable. But it is perfectly acceptable to leave the cake un-iced: in fact, it tastes gorgeous plain. For a simpler dessert, replace the frosting with a light dusting of powered sugar. Pour the Guinness into a large wide saucepan, add the butter — in spoons or slices — and heat until the butter's melted, at which time you should whisk in the cocoa and sugar. Beat the sour cream with the eggs and vanilla and then pour into the brown, buttery, beery pan and finally whisk in the flour and baking soda. When the cake's cold, sit it on a flat platter or cake stand and get on with the frosting. Lightly whip the cream cheese until smooth, sift over the confectioner's sugar and then beat them both together. Or do this in a processor, putting the unsifted confectioners' sugar in first and blitz to remove lumps before adding the cheese. From Feast by Nigella Lawson. Photographs by James Merrell. Copyright 2004 Nigella Lawson. Photographs Copyright 2004 by James Merrell. Published by Hyperion. All Rights Reserved.